Iraklia is part of the Small Cyclades islands, which until recently remained totally off the beaten path and modern civilization. Iraklia remains quiet even in the busy touristic period. This is a perfect destination to enjoy peace and get in touch with nature, which in fact is the most interesting part of the island’s activity. 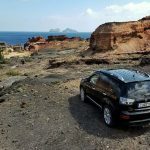 Part of the Natura 2000 network of natural habitats, the whole island gives a sense of “wild life shelter” and enchants with its virgin landscapes. Its wild beauty attracts independently minded travelers who look for simple pleasures. Here you will swim in lonely beaches, hike with like-minded others and find the time to finally finish that book! 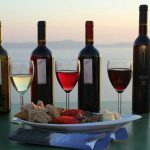 There is little opportunity for nightlife on the island, but it is more than enough to mingle with the friendly locals and hear interesting stories of Iraklia’s traditions. 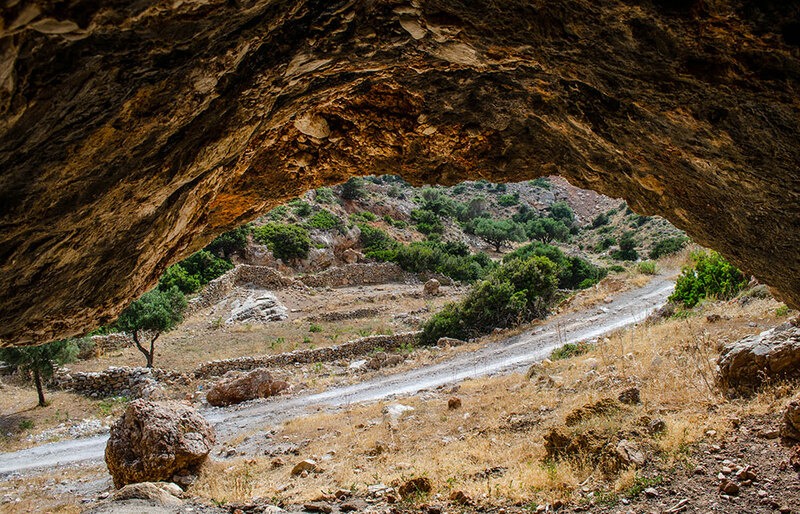 Agios Ioannis Cave: this is the largest cave in the Cyclades, located on the southern part of Iraklia. 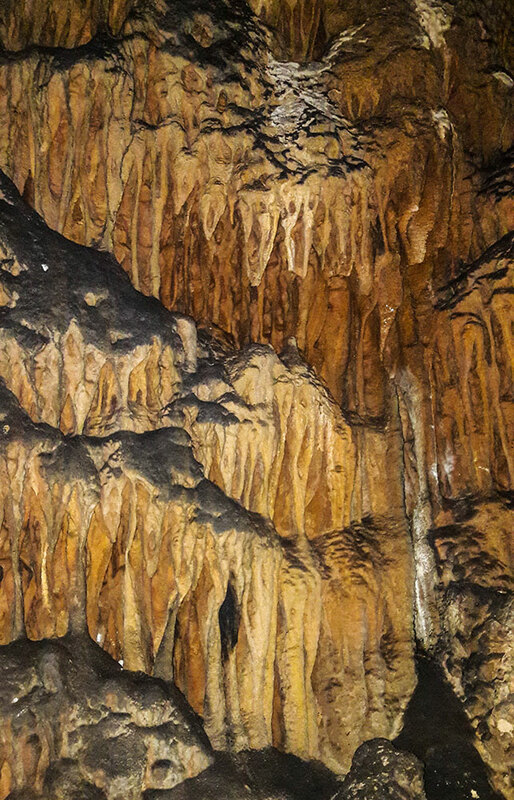 The cave is filled with impressive stalagmites and stalactites and remains completely unexploited. There is no lighting in the cave so visitors are advised to carry torches and other equipment. Its low entrance might be easily missed, so it is better to visit the cave with an experienced local guide. 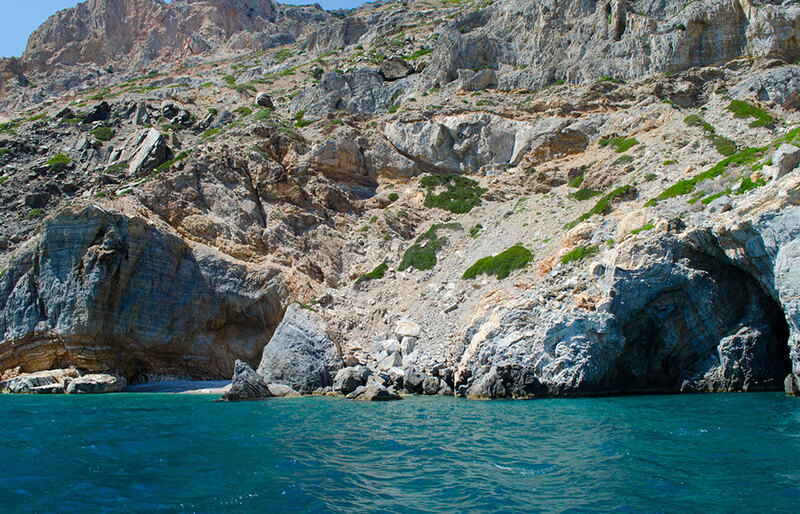 Undoubtedly, Agios Ioannis natural beauty will enchant cave lovers. Legend has it that the cave was named after the icon of Saint John’s (i.e. Agios Ioannis in Greek) that was found inside the cave by a shepherd. Ancient Spirals (speires): are carved from ancient times mostly on stone walking paths or rocks in various parts of the island. 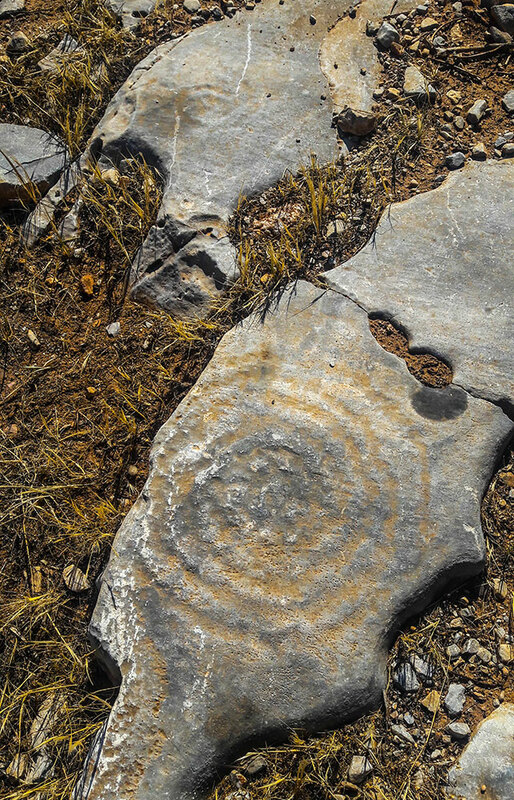 Archeologists date the spirals back in 3000 BC (Early Bronze Age), but their origins and meaning remain unknown. For many years people thought that they were craved by pirates, so they can come back and find their hidden treasures. Other popular beliefs associated the spirals with ancient symbols of luck. Recently archeologist argued that they were used as symbols for ancient civilizations, settlements, graveyard or water source. Some of the spirals are exhibited in the Archeological Museum of Naxos as well. Hiking and Trekking: is very popular in Iraklia and a definite “must do”. The island is an ideal place for hiking enthusiasts and nature lovers. The whole area is included in the Natura 2000 network, mainly due to its widely varied flora. In its 8 hiking routes you will enjoy its unspoiled vegetation along with amazing sea views and rare bird species. The most popular route is the one from Panagia village to Agios Ioannis cave. Iraklia’s Animal Life: is the most interesting part of Iraklia. The entire island is filled with rare species, some of which are endangered and protected on a worldwide scale. In fact, Iraklia is part of the Natura 2000 network of natural habitats. Here human life coexists harmonically with over 170 different species of birds and a vast array of rear marine life. Whether you are walking in its peaceful alleys, hiking on its beautiful mountainous footpaths or swimming on its calm blue-waters you will come across various animals that live or nest in Iraklia’s unspoiled natural landscape. Livadi Castle (Kastro): is a fortified tower from the Hellenistic period, remnants of which are located on the northeastern part of Iraklia above Livadi beach. In the area there are also ruins of two ancient temples dedicated to God Zeus and Goddess of Luck. Kastro offers great view to the surrounding scenery. Pappas Hill: is the highest hill in Iraklia and offers amazing view to the neighboring islands. 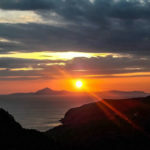 On a clear day you can see Naxos, Schinoussa, Donoussa, Ikaria, Amorgos, Ios, Paros, Antiparos, Anafi, Santorini, Koufonissia and their surrounding uninhabited islets. World War II plane at Alimia bay: is located 9 meters underwater. The sunken German hydroplane was shot down during the Second World War. The plane is visible from the surface and is definitely worth exploring if you are a sea lover. Agios Georgios is the port and the main village in Iraklia, which also happens to be the liveliest spot on the island. It is a traditional settlement with narrow paved alleys and whitewashed houses build around the port beach. Agios Georgios was named after the church of Agios Georgios in the village. Most of the touristic amenities are located here, including accommodation, few restaurants and bars, a couple of stores and the island’s only ATM. 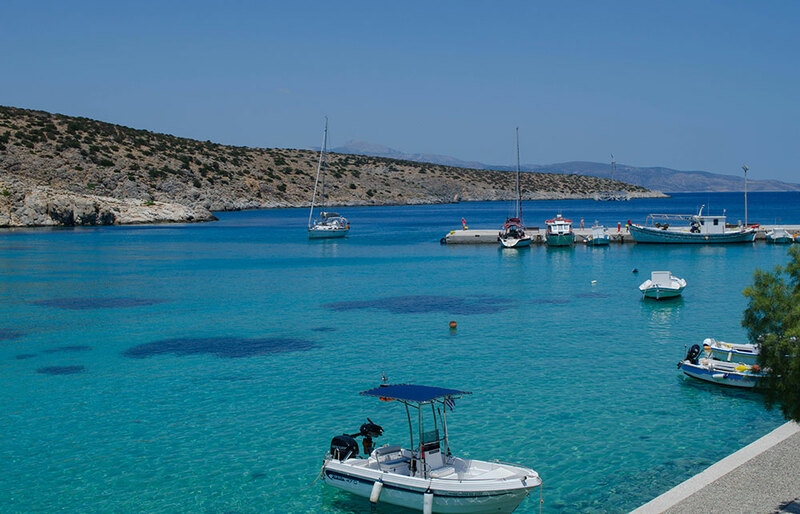 The port is ideal for evening strolls and fishing, while its beautiful beach gets quite popular all summer long, due to its proximity to the port and the village. Panagia or Pano Chorio is a small picturesque village on the southern part of Iraklia, 4,5km from the port. 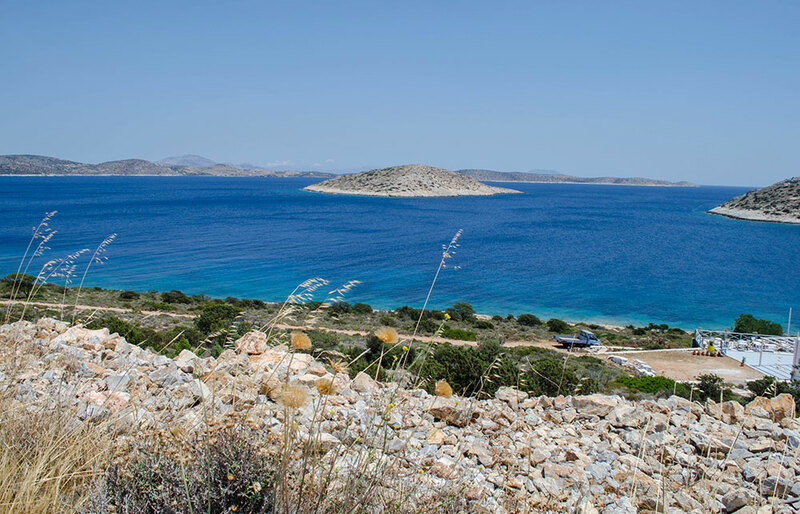 The village is built on the top of a hill and has amazing views of the Aegean sea and nearby islands. Panagia is a traditional settlement with typical Cycladic architecture. Its quiet alleys are filled with charming stone build houses and colorful gardens, small village stores and Cycladic alleys. The village’s landmark is the Church of Panagia (Virgin Mary). One kilometer away from the settlement there is the island’s natural spring (Pigi). Agios Georgios: is just a few meters from the port of Iraklia. It is a small sandy beach with calm green waters and tall trees providing natural shade. Around you will find quite a few tourist facilities, including rooms for rent, tavernas and a couple of bars. Agios Georgios beach is also a great spot to enjoy a summer full moon. The beach parametrically offers benches to enjoy the view. Alimia: is located on the southwestern coast of Iraklia. 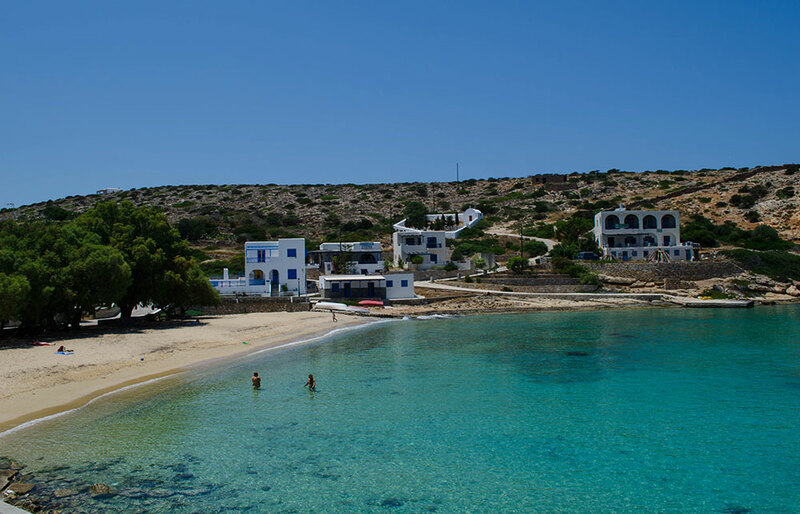 Amilia is a calm sandy beach with shallow waters ideal for families with small children. The beach is mostly known for the sunken hydroplane of World War II, visible from the surface, which is definitely worth a visit. Access to the beach is done mainly by boat. There is also a long and quite difficult path leading to the beach recommended to passionate hikers only. Livadia: is one of the popular beaches in Iraklia. Is a long beach with stunning blue- green waters and fine white sand. Its unspoiled natural scenery is ideal for relaxation. Although it is not organized, it has a few umbrellas and trees that offer shadow and a taverna nearby. During the summer months you will find a lot of campers here. If you are lucky enough you might also come across a friendly sea turtle in Livadia’s crystal clear waters. 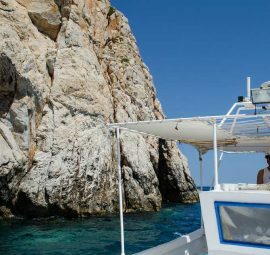 Access to Livadia is very easy, as you can get there on foot from Agios Georgios port in less than 15’, by car or by boat. Merichas Bay (Ammoudi): is a small secluded bay in the area of Merichas, encircled by impressive high cliffs (more than 100meters high). The beach has beautiful turquoise waters and is covered with white pebbles. The area is ideal for snorkeling while the surrounding cliffs attract nesting birds. Merichas wild beauty is definitely recommended to all nature lovers and not only. Tourkopigado: is located just 2 km away from the village of Panagia. Tourkopigado is a small picturesque bay with blue-green waters and small white and brown pebbles. On the right of the beach there is a small charming port where fishing boats occasionally anchor. You can reach Tourkopigado by car or by boat. 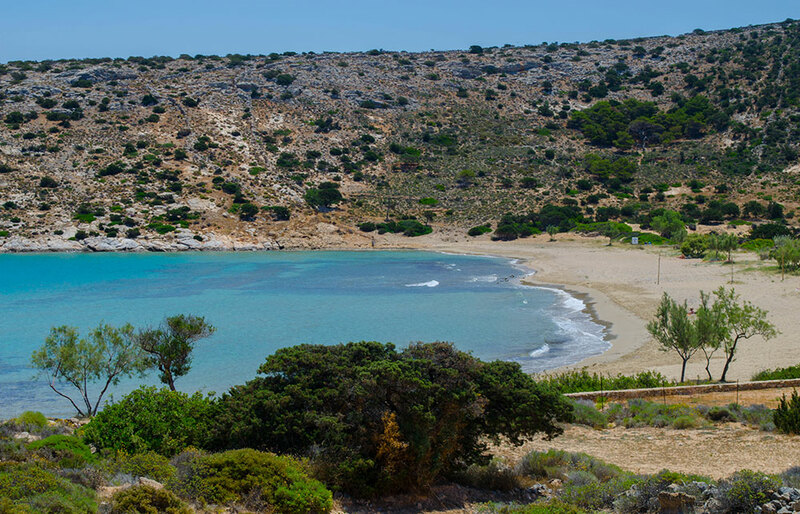 Vorini Spilia: is an isolated beach on Iraklia’s northern coast with golden sand and turquoise waters. The beach is named after the two small caves found in its surroundings. The beach is only accessible by foot (30’min walk from the port) or by boat. According to mythology, Polyphemus the one-eyed giant Cyclop, son of the god Poseidon, lived in the caves of Iraklia together with his sheep. When Odysseus and his companion made a stop in Iraklia to pay homage to God Zeus after the Trojan War, Polyphemus heard them and though they were invaders coming to steel his sheep. He captured and imprisoned them in the big cave. Odysseus and his mates blinded Polyphemus and escaped from the cave. Polyphemus heard them and started throwing huge rocks in order to sink their ship. The blind Cyclop was never able to hit his target and the rocks are known today as The Big Avelas and The Small Aviles islets. Another famous myth of Iraklia is the one with the ghost that haunts the castle over Livadi beach. According to the story, there was a secret passage on the beach that led inside the castle. Pirates found out about the passage and tried to enter the castle. When inhabitants realized that pirates were in the secret passage they threw boiled oil in the first pirate to enter. Legend has it that his ghost haunts the castle ever since. Ancient Times: Iraklia has been inhabited from early antiquity and has kept its original name. Excavations in the area of Livadi, have brought to light ruins from the 3rd millennium B.C. There is also evidence that during the same period the island was participating in commercial activities with other Cycladic islands. Hellenistic and Romans Times: Kastro, the fort above Livadi beach, was most probably built between 3rd and 1st century BC. Venetian Times: Iraklia was under Naxos administration, but was only sporadically inhabited. 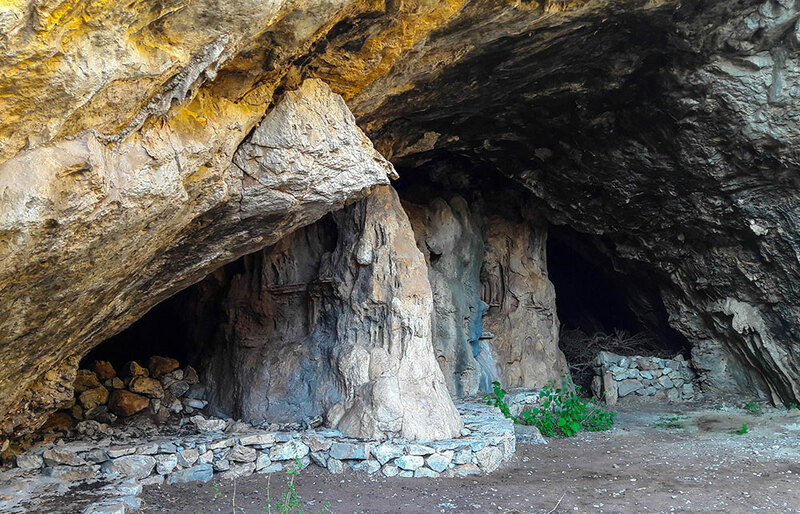 Ottoman Times: Iraklia’s secluded coves and natural caves became a hideout for pirates and smugglers, who threatened the lives of the inhabitants and forced them to abandon the island for long periods of time. 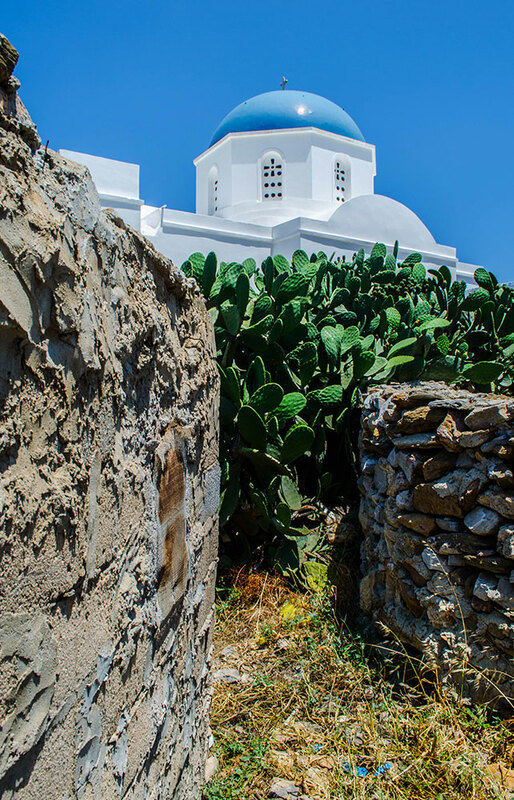 In the 16th century, Iraklia came under the ownership of the Monastery of Chozoviotissa, in Amorgos island. Greek state: In 1831 after the Greek independence, migrants from Amorgos signed a contract with the Monastery of Chozoviotissa, allowing them to migrate on the island and exploit its land in return for a 50% share. In the 20th century, migrants were granted full ownership of the land, and only a small part of the island was left to the monks, mainly for personal use. Second World War: Iraklia was first occupied by Italians and then by Germans. A secret radio station was operating in the island that was transmitting messages concerning the German naval activities to the British. Agios Ioannis: is a unique celebration held on August 28th in the cave of Agios Ioannis. The celebrations start early in the day with a large picnic under the trees at the cave entrance. Villages and visitors spent the day in the cave exploring, eating and feasting. At the evening a service is held and right after the celebrations are moved to the village. Agoni Grammi Gonimi Festival: is held every March. Is a 3 day festival of art and craft workshop, mostly for children. Fanis Gavalas Festival: is a traditional festival that takes place during the summer in Iraklia. It usually includes traditional music, dancing and games, theatrical performances, theatrical performances and concerts. Experience The Traditional Flavour of Iraklia – An Alternative Boat Tour! 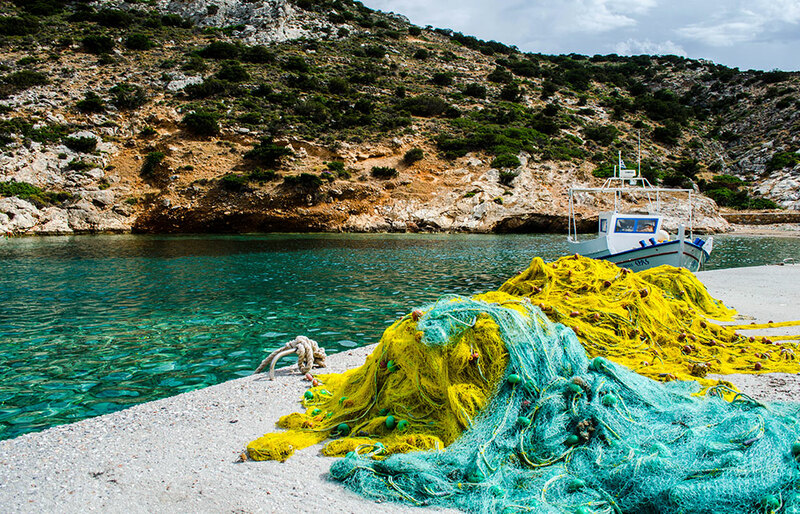 Experience The Traditional Flavour of Iraklia - An Alternative Boat Tour!